Is your family into basketball? March Madness is right around the corner, and what better way to gear up than with Basketball Net Hats for the family?! This new ear wamer pattern for basketball lovers is sure to be a hit! 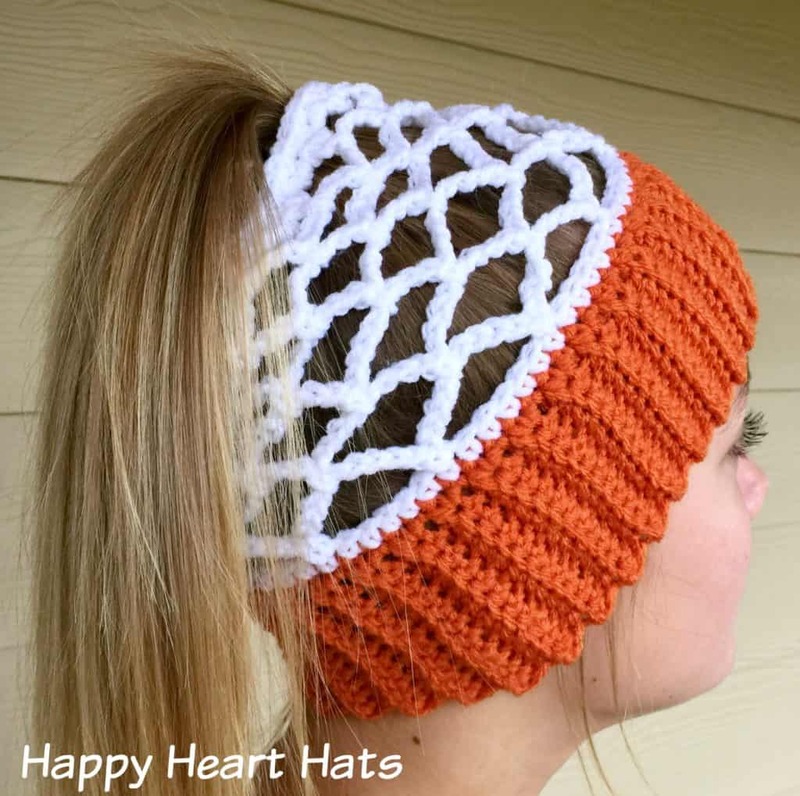 My friend Jill, a moderator for the Heart Hook Home Crochet Community on Facebook, created this Basketball Net Hat pattern. This hat has been so wildly popular in the Facebook group, and because she’s such an awesome moderator, I have asked Jill if she would consider writing up the pattern. And she said yes!! Woohoo! After testing this pattern myself, I am confident that a beginner/intermediate crocheter can complete this hat. They work up so quickly, too! Find this pattern here on Ravelry, offered by the wonderfully talented Jill from Happy Heart Hats! This hat is worked from the brim up, making it a quick project. 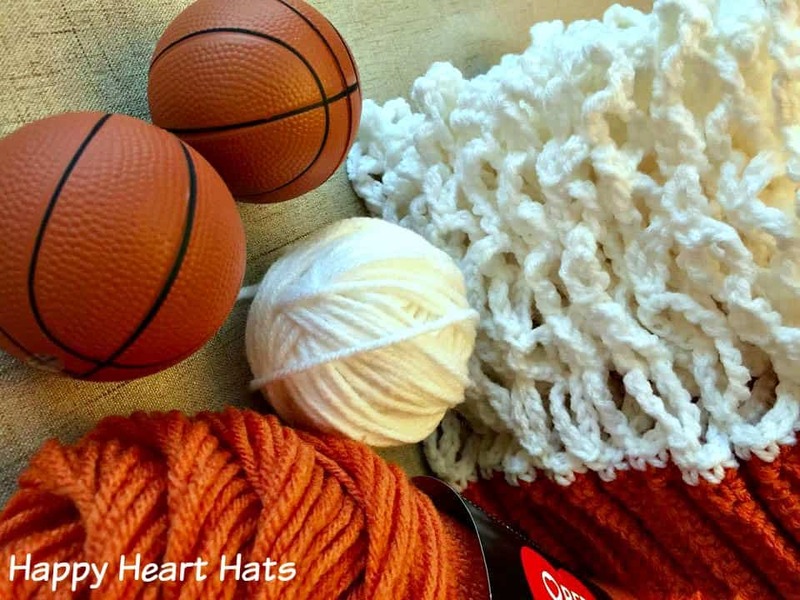 These hats would be excellent for team photos if your child or grandchild is on a basketball team, or I suspect it would be a great seller at your next craft fair! 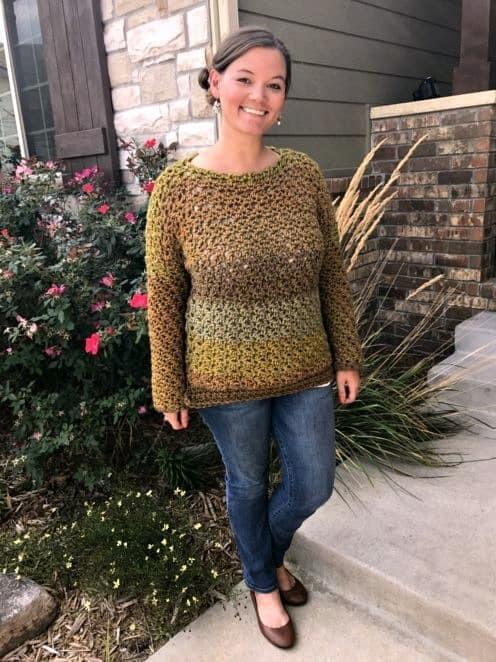 You are free to sell your finished products using this pattern, Jill only asks that you reference the pattern link from this page or Ravelry when you do. I don’t know where you’re from, but as far as basketball goes here in Kansas, the Jayhawks rule the roost. (See what I did there?! 😛 ) Because the Jayhawks are so consistently awesome, the whole town gets involved in basketball season and March Madness. 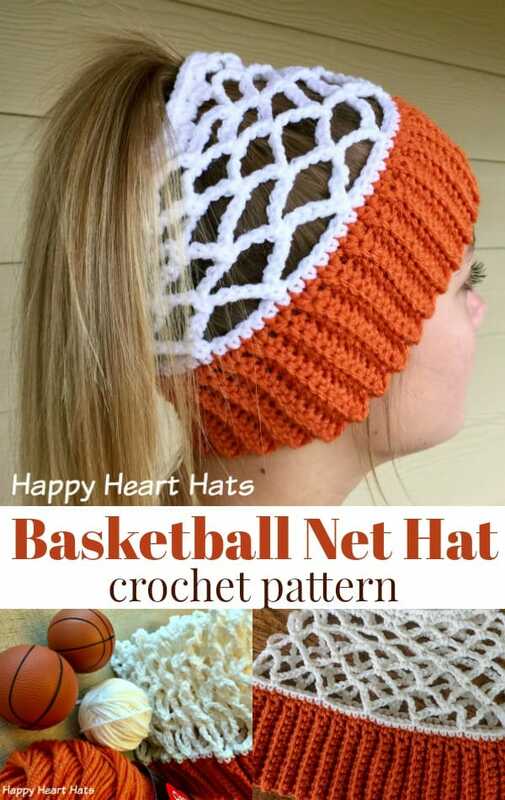 This year we’ll be watching while wearing our Basketball Net Hats that whip up in no time flat! I hope you love this hat pattern as much as I do! You can find this pattern on Ravelry. Be sure to share photos in the Facebook group of your finished hats! I enjoy you because of your whole labour on this site. My niece takes interest in setting aside time for investigation and it's simple to grasp why. 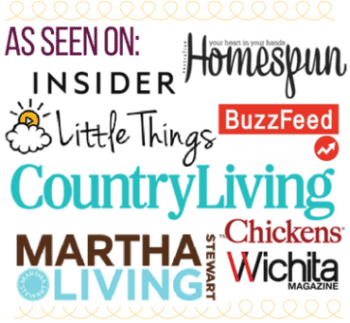 My spouse and I notice all of the dynamic modes you render precious ideas by means of the blog and even recommend response from other people on this area of interest and our princess is really studying a lot of things. Take pleasure in the rest of the new year. My basketball playing 16 year old is going to love this! Thanks so much.